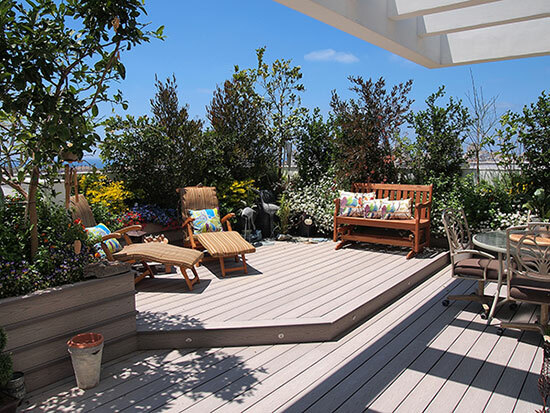 In an urban setting, building a rooftop terrace can be a smart way to enjoy a private outdoor space. Construction Précellence is a Montreal-based company that provides interior and exterior construction and renovation services (kitchen, bathroom, basement, floor additions, etc.) in Montreal, and on the North and South shores. 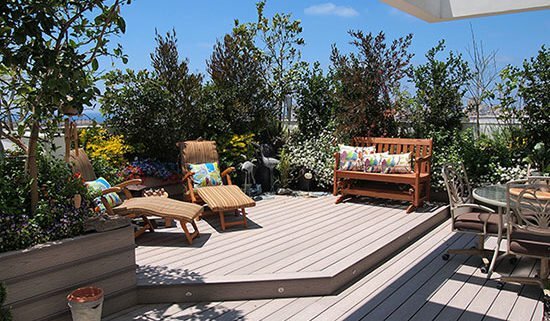 As expert building contractors, we love to help you accomplish your home projects, and that is why we have put together the following tips for building a safe and beautiful rooftop terrace. This type of project calls for very specific skills and expertise, which can be found in a team of specialists in architecture, design and construction. In this way, you will save time and money, and most importantly, you will ensure your safety. It is essential to choose materials that are resistant to UV radiations. Ipe wood, red cedar and porcelain tiles, for example, are durable materials that require little maintenance. Need a staircase to reach the roof? Aluminum, although pricey, is a light and sturdy material. A pergola, privacy screens and storage areas are important elements to think about when designing your patio. You should also ask yourself whether you want to have electricity and water access on your rooftop. 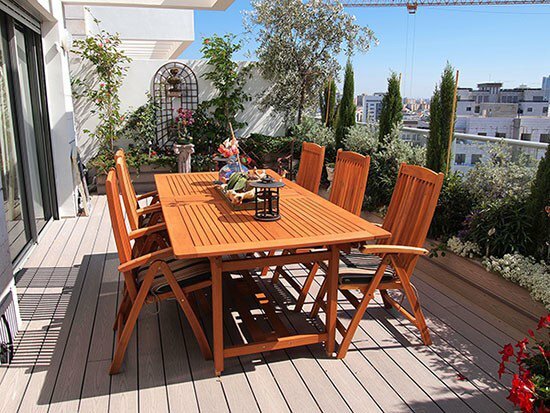 A rooftop terrace can significantly increase your property value. What’s more, experts maintain that it is possible to recover your investment almost entirely when the work is carried out according to the highest standards. Construction Précellence is committed to providing you with a beautiful terrace that suits your tastes and budget. Our mission: exceeding your expectations! Give us a call to find out more.